//Make crystal clear ice with easy steps. Polar Ice tray allows everyone to make the same crystal clear ice as the one from a bar in an ordinary home refrigerator. 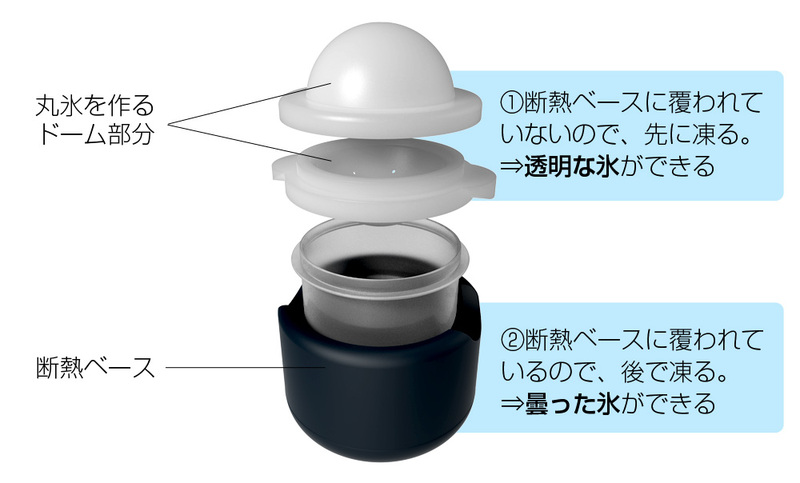 Able to make clear ice also from tap water with the patented design. The key point is ‘ice’. 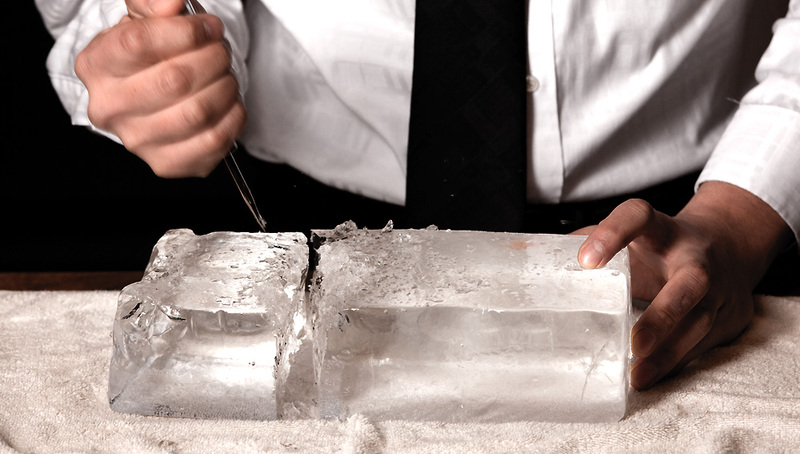 At bar, staff separate the clear ice with an ice chisel. 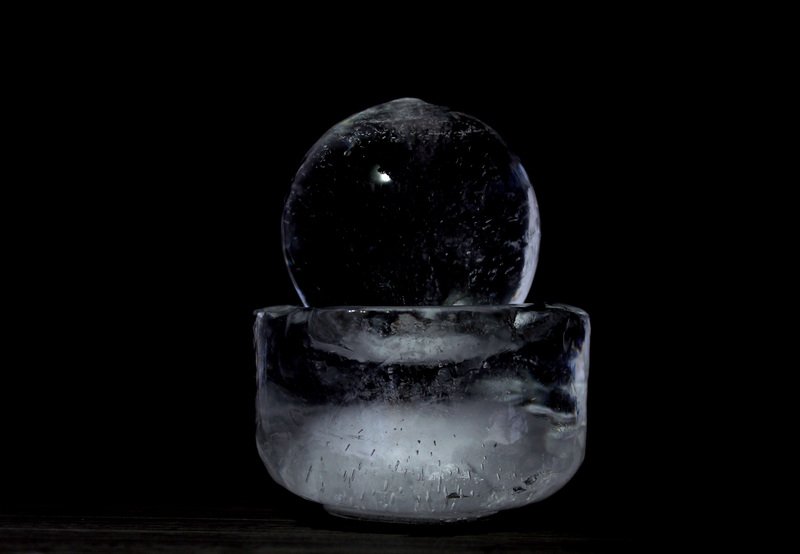 In contrast, ordinary ice contain trapping air and impurities on the center. It will easily melt down and ruin the drink. 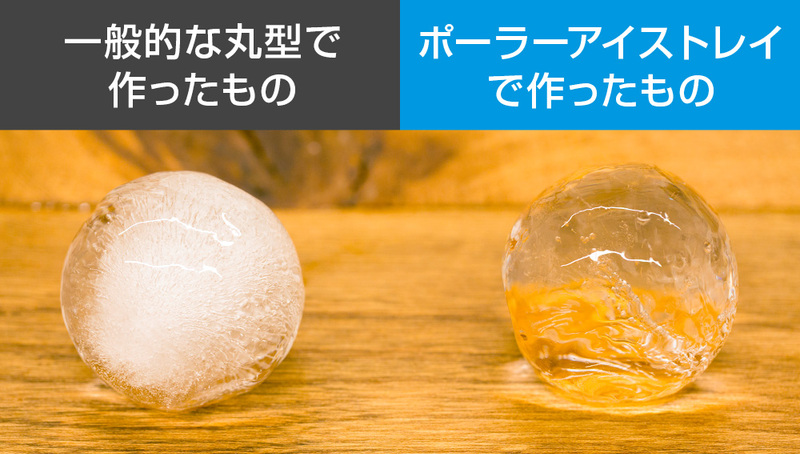 Though you can make the same round shape ice with ordinary ice tray, still it is easily melt down. But with patented dual-chambered system, you can enjoy clear ice without impurities. Imagine... Leave yourself in time to relax and enjoy the drink---the time of bliss.... The commitment to ice will increase the value of that time. 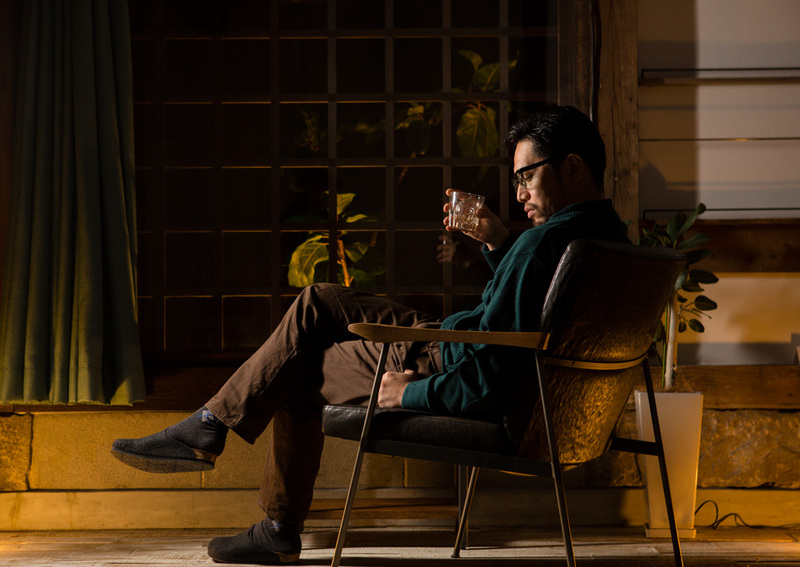 The atmosphere will change as if you are drinking in a bar when you use the ice from the Polar Ice Tray. 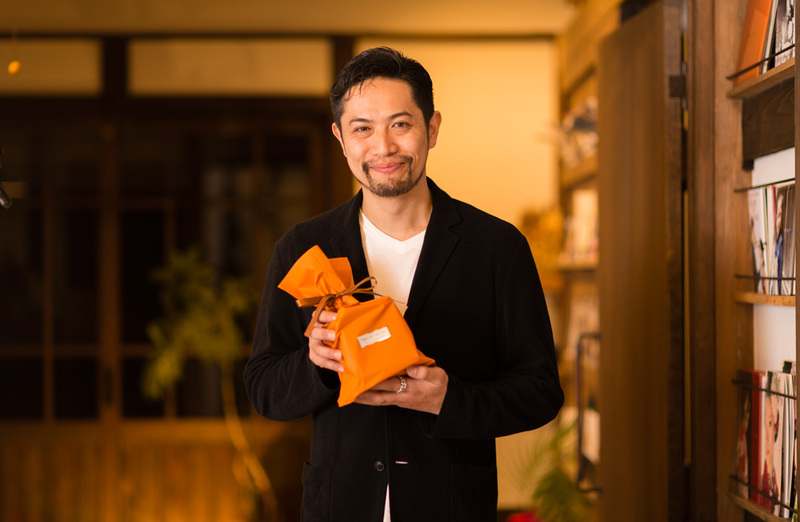 The usual brand will taste like a special one. Drink the best bottle with your favorite glass and ice. 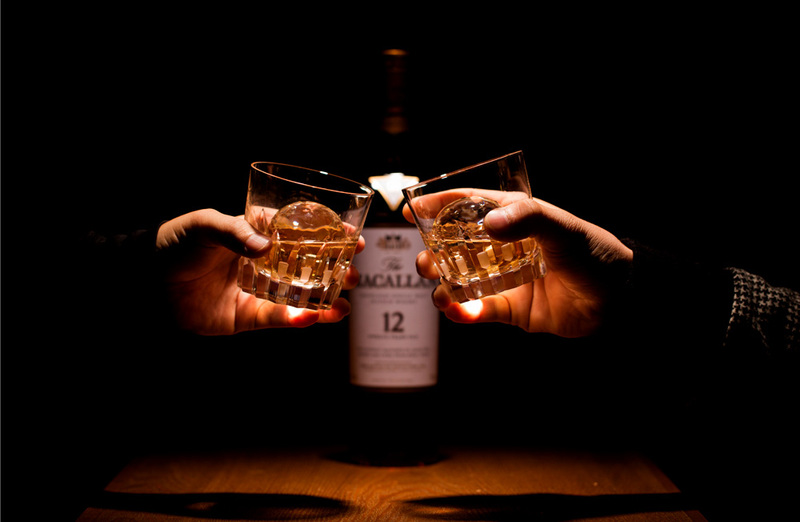 Nice to drink a toast with your fellow. As a big suprise on special occasion. 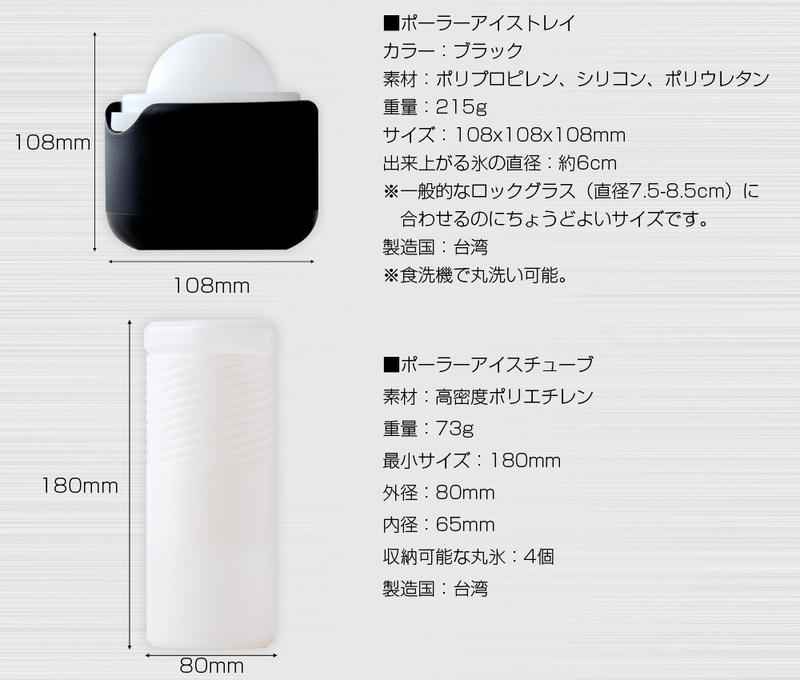 As a decoration item. 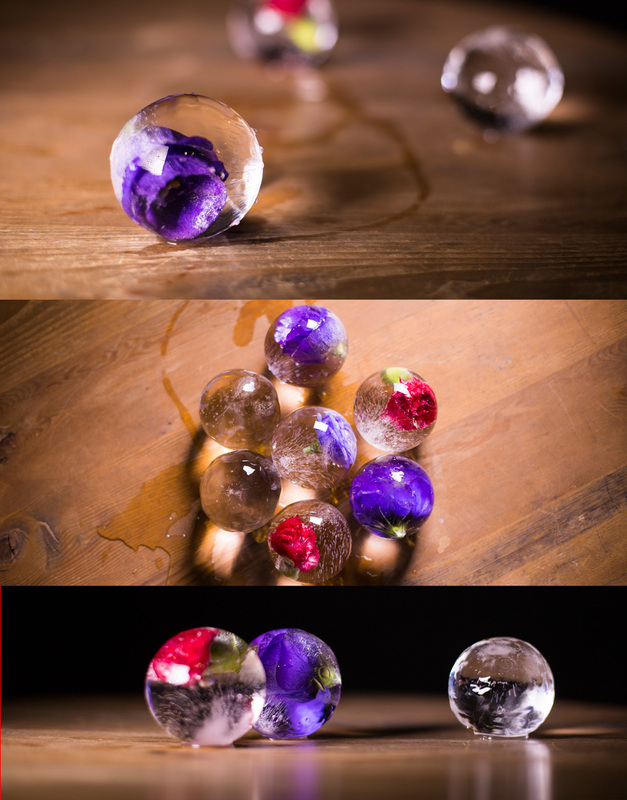 Adding a flower or mint leaves between the silicon layers can turn clear ice into an amazing show piece. Perfect for party decorations. Below is the images of ice with flowers. We can admire beautiful flowers inside. Transparency of ice will rise as we take longer time to freeze. 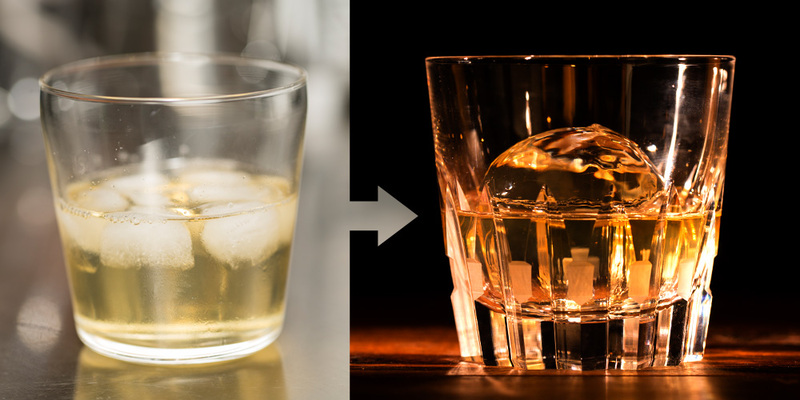 It’s very easy to make crystal clear ice. Step 1: Assemble the parts Step 2: Add water Step 3: Put in the freezer It’s easy for everyone to make crystal clear ice like to make regular ice. There are bubbles and various impurities in the water. 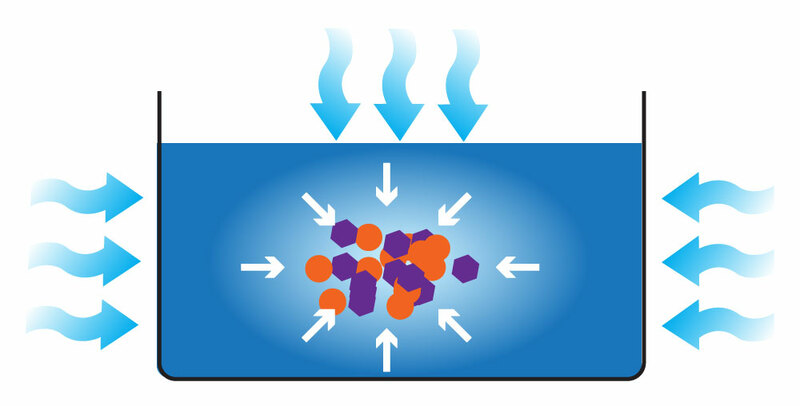 When it goes down below zero, pure water starts freezing at first from the outside, trapping air bubbles and impurities to the center. These impurities gathered at the center forms a layer of ‘white ice’. Polar Ice Tray insulates all sides of the tray except the top, so only the surface of the water is exposed to the coldness. As a result, the water start to freeze from the surface. By allowing the water to freeze gradually from top to the bottom, bubbles and impurities are driven to the bottom forming white ice. The dual-chambered technology of the Polar Ice Tray allows easy separation of the clear and white ice. Completion image. Q: Is it able to make crystal clear ice with any water? 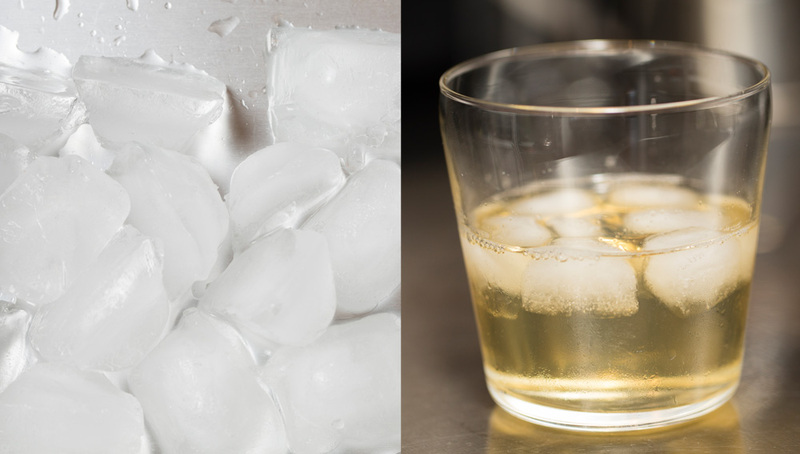 A: Basically, crystal clear ice can be made with any sort of water. There is no problem with tap water. However, the quality of ice may be affected by the quality of water. For example, hard water (water with more minerals) often brings more impurities in the ice. Therefore, we do not recommend making ice with hard mineral water. Q: How long will it take to freeze completely? A: Takes about 12 hours at -18 degrees. Time varies according to the freezing temperature. Q: Does the unpleasant smell of plastic or silicon transfer to the ice? A: No. Q: Is it easy to take out the crystal clear ice from the Tray? A: Very easy. 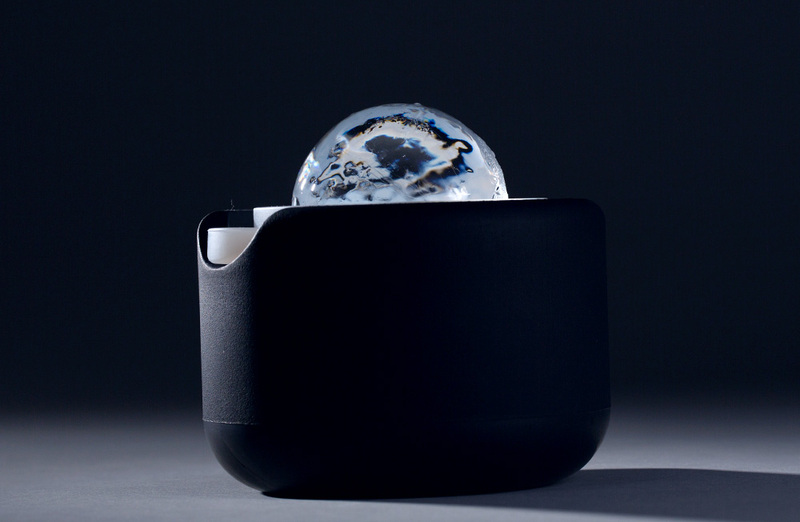 Since the dome part is made of soft silicon, the ice can be taken out easily. Q: Is there any possibility of failing to make crystal clear ice? Are there any knacks? A: There is a possibility that the quality of the ice may change depending on the position where freezer or the Polar Ice Tray is installed. The biggest knack is to freezing it over time. <When impurities partly occur> It is caused by sudden freezing. 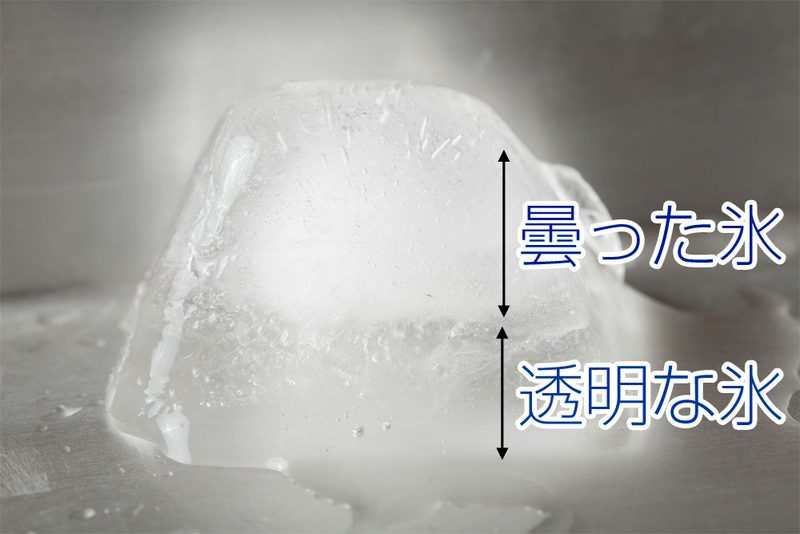 Please freeze the ice slowly, such as raising the temperature of the freezer or keeping it away from cold air outlet. 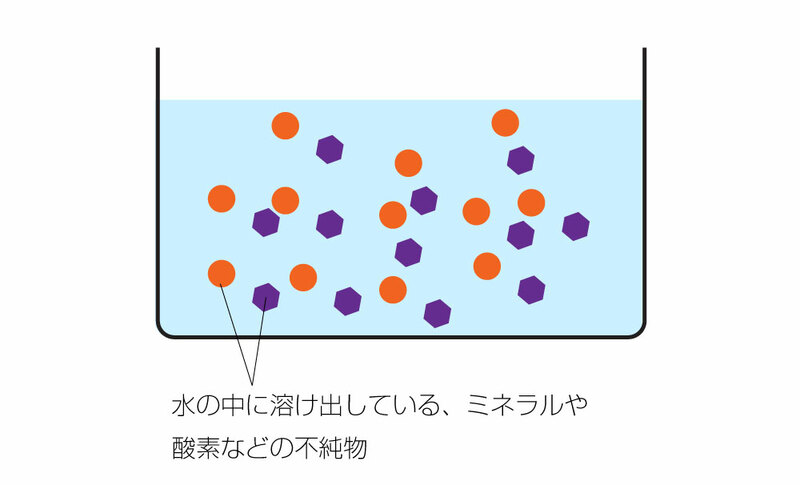 <When bubbles are generated> Please pour water slowly. If you pour quickly, bubbles will get into the water. Please tap lightly on the dome part after pouring the water and push out the bubbles. Shakes may cause bubbles to float during freezing. Please open/close the freezer gently. 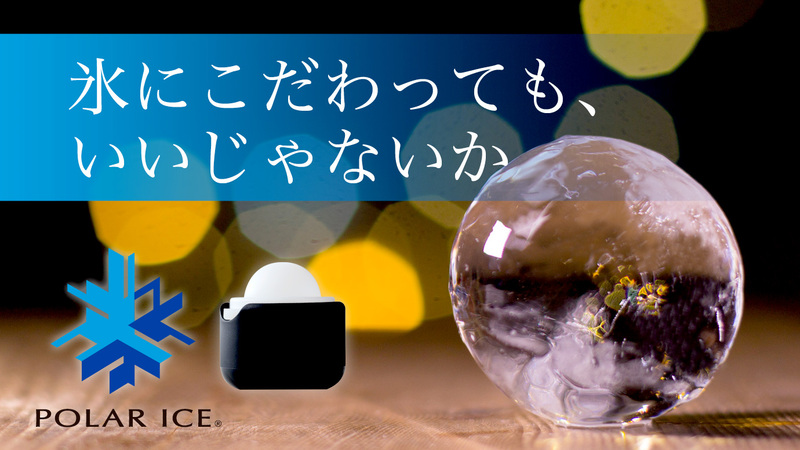 SAKURADOME CORP., is the exclusive distributor of Polar Ice Tray in Japan.